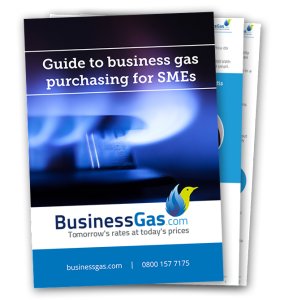 Business Gas.com has published a new guide to purchasing gas for small and medium size businesses. This guide is designed for business leaders and owner managers who want to reduce their energy expenditure and protect their bottom line against market shocks. It is packed with practical tips and actionable advice related to developing an energy purchasing strategy and particularly, buying gas on a fixed-price contract. Click here to download the gas buying guide. National and international gas markets are volatile and shaped by a complicated myriad of factors. If you approach the gas market without a strategy then it is easy to buy at the wrong time and lose control of your energy costs. The advice is targeted towards businesses which use between 32,000 kWh and 120,000 kWh of gas annually, but many of the lessons are applicable to anyone involved in the purchasing of energy. Above all the guide is designed to be accessible and it assumes no prior knowledge on behalf of the reader. But it really can give you the knowledge to secure cheaper gas rates for your company. Paul Rafis, Head of Gas Procurement at Business Gas.com, said: “business leaders will be familiar with the headache which energy purchasing can cause. This guide makes it simple.